Dishonest and unlawful sale practices permeate every level in the horse industry, from $500 horses at the local feedlot auction to private sales of Olympic-level horses. Horse sale fraud is so rampant that shopping for a used car seems practically risk-free by comparison. Although clever fraudsters can dupe even experienced equine professionals, non-horsey parents buying a horse for their child and first-time horse buyers are particularly vulnerable. Here are some warning signs that a horse deal might be shady. Examples: Your trainer tells you to wire the purchase price to their account instead of the seller’s account. Or, the seller’s trainer tells you to make out the cashier’s check to them instead of the seller. The person receiving the money may not actually pay the owner for the horse, or may not pay for it in full. The true purchase price of the horse may be much less than you are actually paying. It is fairly common practice for trainers (and it can be the seller’s trainer, the buyer’s trainer, or both!) to tell the buyer the purchase price is one amount, and tell the horse seller the horse sold for a lower amount. One or both trainers then pocket the difference. The person receiving the money may be paying kickbacks to other persons involved in the sale, such as the prepurchase exam veterinarian, or the “bystander” who told you how great the horse was while you were watching it perform. The person representing the horse may not be authorized to sell it. Yes, that’s right – the horse owner might have no idea their trainer is offering their horse for sale. Or, the horse might even be stolen! The true price of the horse may be less than you know. The seller’s trainer may be planning to pocket the difference, or even split it with your trainer. The horse owner might tell you facts likely to kill the deal, such as they’ve spent a fortune in vet bills trying to keep the horse sound, or the horse has a behavioral issue. Example: You pay for the horse, and ask for a bill of sale. You’re told you will get one, but you never receive it. In some states, such as California, the horse seller is legally required to provide the horse buyer with a bill of sale. 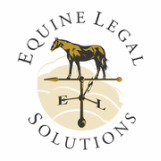 If there is ever a question about whether you are the legal owner of the horse, a bill of sale can be important evidence in your favor. You may be paying more than the horse’s true sale price. The person representing the horse may not be authorized to sell it. If the horse is registered with a breed or discipline association, such as USEF, you may need a bill of sale to transfer the registration into your name. Example: The horse is at a horse show that is ending very soon. Your trainer tells you that unless you buy the horse before the show ends, the seller is going to take it home and it will cost you a lot of money to have the horse vetted there and then shipped up to you. The horse may have a lameness issue or other health problem that would be revealed during a pre-purchase veterinary examination. You won’t have a baseline to show what the horse’s condition was at the time of sale. If the horse has a soundness or health issue that is manageable, you won’t be informed about what that condition is and what is required to manage it. Without management, the horse’s condition will likely decline, perhaps to the point where the horse is no longer suitable for your intended use. Example: You ask for a vet check and the seller agrees, but then takes issue with every vet you suggest. The seller urges you to use their vet. While we’d like to believe all equine veterinarians are honest professionals who put horses’ welfare first and would never be swayed by client loyalties or monetary concerns, that is not always the case. The seller’s vet may not provide you with an independent, fair, thorough examination of the horse. Example: The horse you are considering purchasing is at a horse show. Your trainer suggests you hire the show vet to do the prepurchase exam and says it will be a lot more expensive to have another vet come out to the show grounds to do it. Although some show veterinarians are honest professionals willing and capable of providing you with a thorough, independent pre-purchase examination, many others are not. At some shows, management actually selects the show veterinarian based in part on pressure from trainers to have a vet at the show who will “pass” a lot of horses. Example: You mention that the prepurchase exam vet will do a blood draw. The seller’s trainer tells you there is no point in doing it, because they had to give the horse a sedative to body-clip it, so the test will come up positive. The horse may very well have received a sedative, but not for the reason you’re being told. Or, the horse may have received other types of medication to mask lameness or behavior problems. Short-acting sedatives, like Acepromazine, do not test for very long, and it would therefore be a simple matter to wait a few days and then do the prepurchase exam and get a clean blood draw. Example: The seller’s trainer tells you there is another buyer waiting to buy the horse if you don’t, but they want to give you “first dibs.” The seller tells you he or she has someone coming to look at the horse, or have the horse vet checked, later that day, or tomorrow. Whoever is pushing you to make a quick decision may be trying to avoid giving you time to ask for a vet check, do any due diligence or otherwise exercise good sense. Examples: You are considering purchasing a $75,000 horse your trainer says will be perfect to help your teenage daughter achieve her show goals. When you ask if the horse has a show record, you’re told it does, and the show record is excellent. You ask to see a copy of the show record, but you never get to see it. Or, your trainer says the horse has no show record, but he or she prefers it that way so they can train the horse the way they like. Some national discipline registries, such as USEF(1), do not require DNA testing, microchipping or any other reliable proof of identity. Therefore, if a horse has a less than stellar show record, it is fairly common practice to re-register the horse under a different name and falsely represent that it has not been shown at recognized competitions. Sometimes, a single horse or pony is registered multiple times under multiple different names. Unless you are buying a young horse, if you are paying top dollar for a horse that has never been shown in a recognized competition, you’re probably paying way too much for it. Example: The horse is at a horse show with a trainer who has brought along a string of horses that are showing. The horse you are considering purchasing isn’t being shown, or you’re told it already competed in the show (and did very well), but has finished all of its classes. Although there are some innocent explanations for why a horse may be at a show and not competing, such as the horse is young and just there for the experience of being in a show environment, there are some more nefarious explanations. For example, the horse may be lame, have a behavior issue that becomes obvious in the show ring, or otherwise not likely to compete successfully. The horse may also be on medications not permitted by show rules, or in amounts exceeding permitted levels. (1) As of December 1, 2017, USEF will require all hunters, jumpers and equitation horses to have a microchip number recorded with USEF to earn USEF points, and a broader microchip recording requirement will go into effect in 2019.